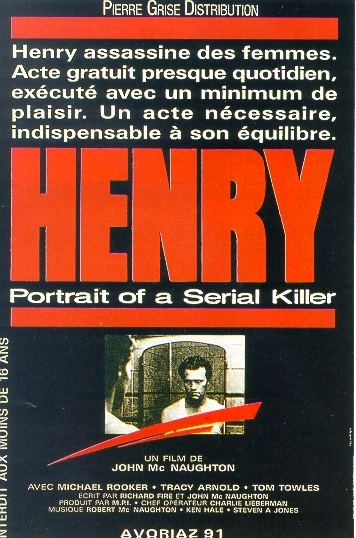 Henry likes to kill people, in different ways each time. Henry shares an apartment with Otis. 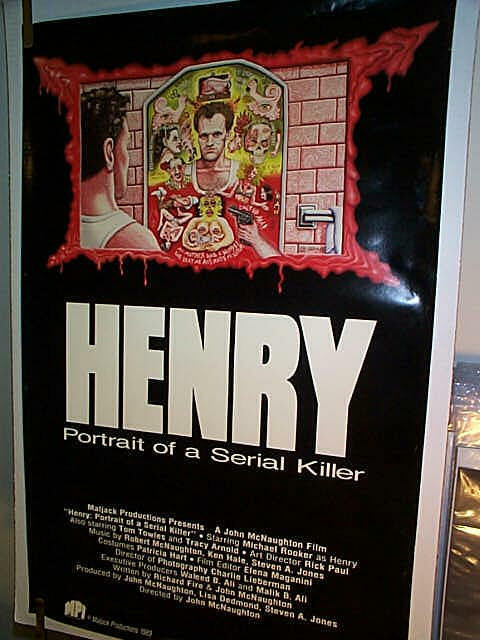 When Otis' sister comes to stay, we see both sides of Henry, the "guy-next-door" and the serial killer. Low budget movie, with some graphic murder scenes. One of a kind This is the most realistic and Frightening movie ever made. In the way that it happened to a real man and that the whole story is true.Other movies is just fiction and of course there is other movies that are more graphic,but you got to remember that this is real,and that's what is sick.The things that the main character(Henry Lee Lucas)experienced when he was a child was just tragic and we really get to hear about it in the movie. 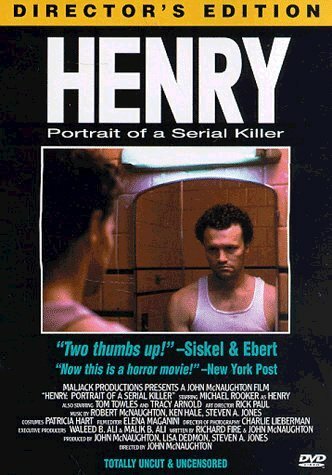 I don't think that it ever have been made a movie like this,who shows a real serial killer from the inside. The movie have absolutely no humor and is evil and depressing fromstart to end. As the movie goes on you really get to experience how sick Henry is and what he experienced as a child to make him the way he is. 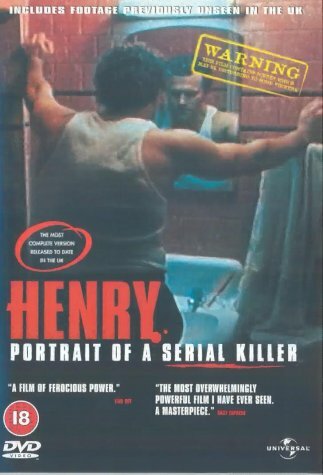 This is no movie for easily scared persons,because this movie takes you inside the head of Henry Lee Lucas. But if you really want to find out how a serial killer thinks,then this movie is the only one that shows it. The movie is cut in many countries because of some very strong scenes.But it is possible to get the uncut version if you give it some time. This movie is like nothing you have ever seen before and it is truly a masterpiece. Really evil and shocking.